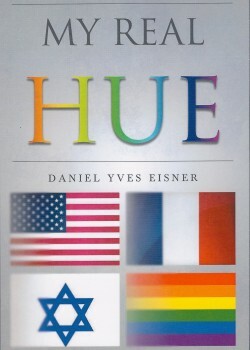 My Real Hue by Daniel Yves Eisner is a memoir that begins with a boy’s childhood in post-WWII New York and continues through several decades, spanning a life rich with family conflict, personal introspection and, ultimately, wisdom. My Real Hue lives up to its title with detailed, honest and revealing accounts of growing up, confronting pain—and even inflicting self-injuries—as well as dropping out of college, searching for meaning within the family (“I weighed every decision heavily against whether it would help or hurt my mother.”) and then away from it, until the fog of emotional hurt, confusion and sensitivity gives way to a growing clarity about life, self-identity and the path to healing and happiness. by Daniel Yves Eisner will make you laugh and cry, and entice you to reflect on your own life’s journey. It succeeds in sharing a unique life with mesmerizing clarity, emotional depth, sharp humor, and a keen eye for detail that makes the book indelibly memorable. This is a genuine story of joy, pain and the courage it take to prevail against life’s strong headwinds. Bravo!